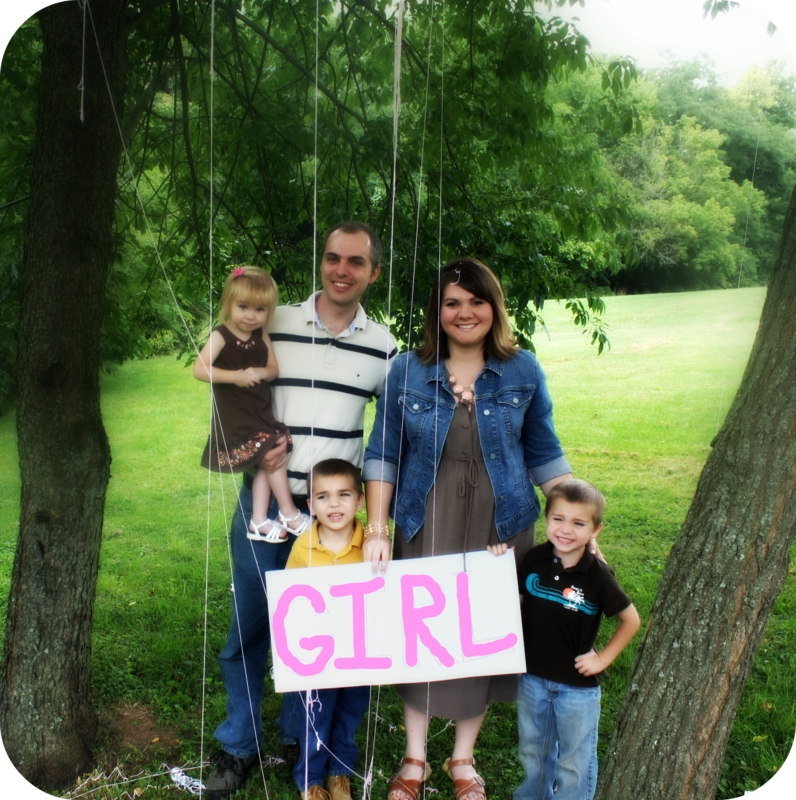 Fun Gender Reveal for Baby #4! We found out in April that God was giving us another little blessing! 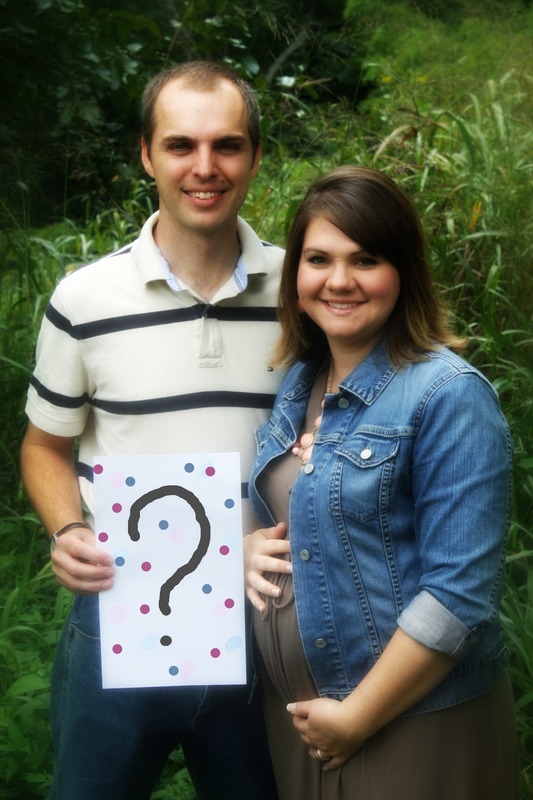 We are excited and thankful! 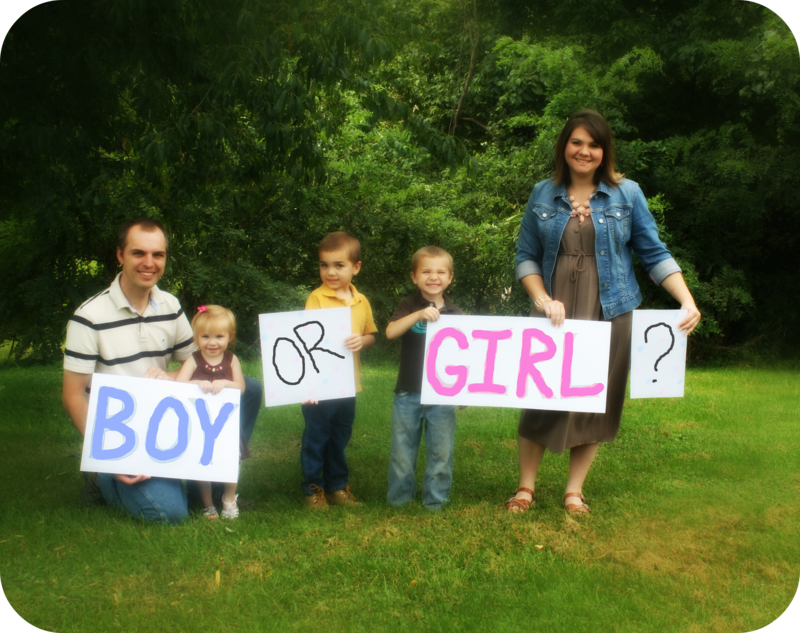 From the beginning of our marriage, I always thought I would love to be surprised with the gender if I already had a boy and a girl. That way, I would already have the “stuff” and could just sit back. But, I just couldn’t hold out…none of us could! 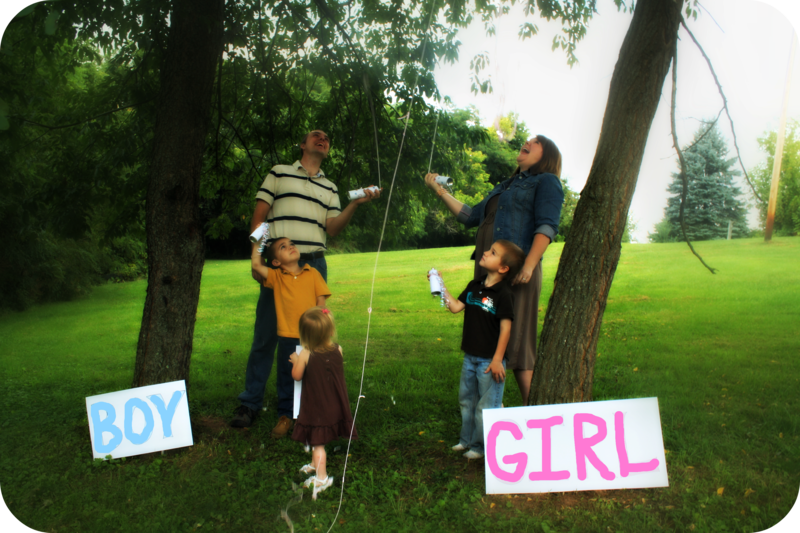 So, we decided to do a fun gender reveal. On ultrasound day, it was so hard not to peek. The technician went for the gender right away. Baby was in a great position, so she had us close our eyes for a minute or two. 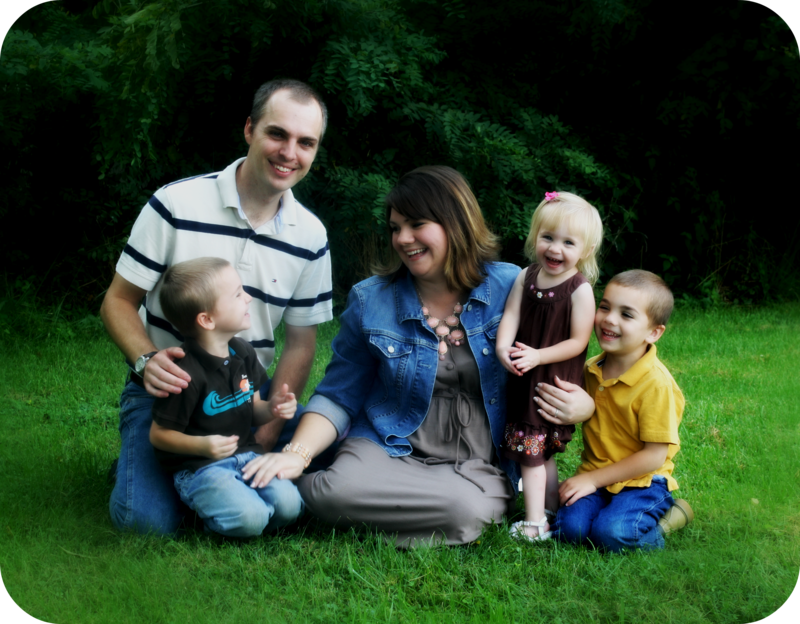 As soon as she wrapped up the ultrasound, she put the sweet surprise in an envelope. All that held the envelope closed was a tiny piece of tape! Ahh! It was so hard not to open it! When we got to the car, I held it up to the light to try to cheat! I know, I know! Pretty desperate! But thank goodness, I couldn’t see! A sweet friend asked if she could please help with the reveal, so I said “Sure!” She came over a few days later, and took some pictures and pulled off the whole shebang for us! It was so fun! 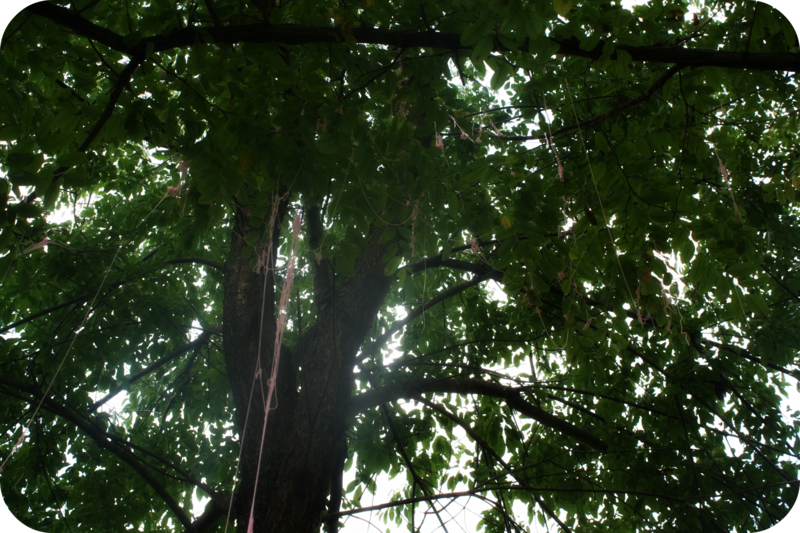 The cans of silly string were wrapped with paper, and decorated. We each had one in our hands. Camera ready, go! At first, I couldn’t tell what color the string was! It looked white! But when I looked up in the trees, I could see the PINK! “Ahhh! It’s a girl!” I said! Thank you to Cassie King for the beautiful pictures, and hard work! You really made our day special! Eva’s room has been a work in progress her whole life. Just once I’d like to have a room all ready when a baby is born. But the journey is half the fun, right? 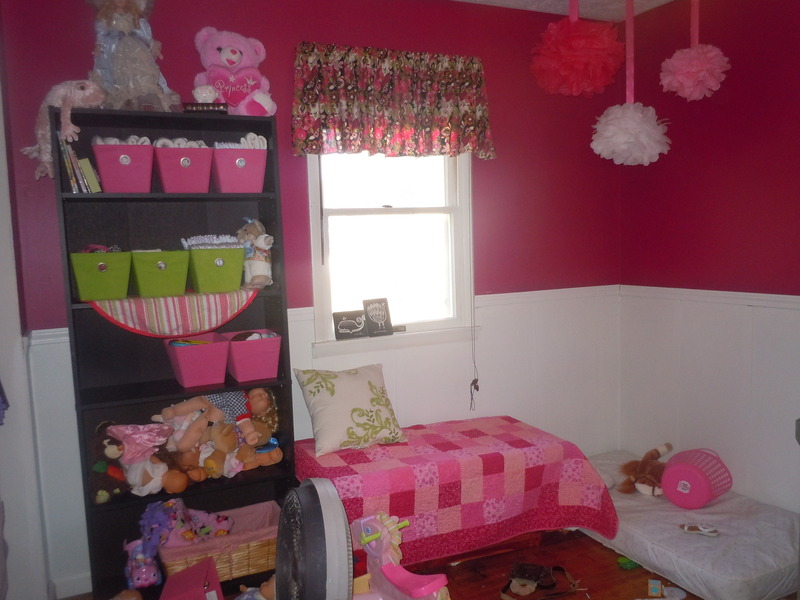 So, here is some progress on her cutesy little room. I am in love with it! 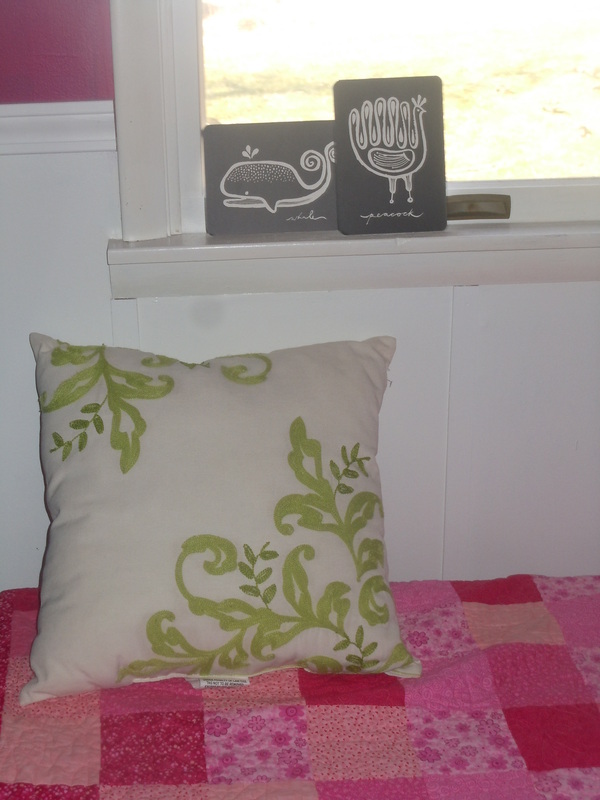 We bought a shelf the other day, and some cute little canvas tubs at Walmart. Before, there was nothing in her room but a dresser (which was full), so the “stuff” in her room was just everywhere in the floor. As you can see from the picture, there is still some stuff on the floor. We’re saving that mattress until we get a little bed for her. She still sleeps in the pack-n-play. Those are poms made from tissue paper. 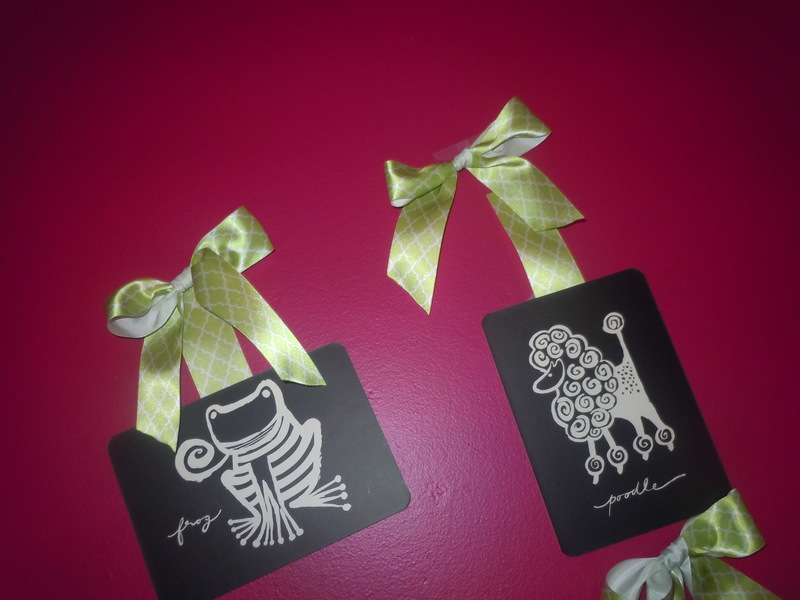 I made them for her first birthday party, and they turned out so cute! And I finally made her valance from the fabric Mom bought when I was expecting. These are some little flashcards I got free in the mail when I was expecting Eva. They are so cute, and go with her colors. We added the ribbon, and voila! Animal cuteness!